Siri, and other technologies associated with Apple's iPhone and iPad are radically changing how the blind deal with everyday tasks. The nascent revolution in artificial intelligence is making a big difference with one particular population: The blind and visually impaired. According to a new piece in the Wall Street Journal, blind users are using a variety of mainstream technological products, including Apple's Siri, as well as dedicated apps, to perform everyday tasks, whether cooking or listening to music. 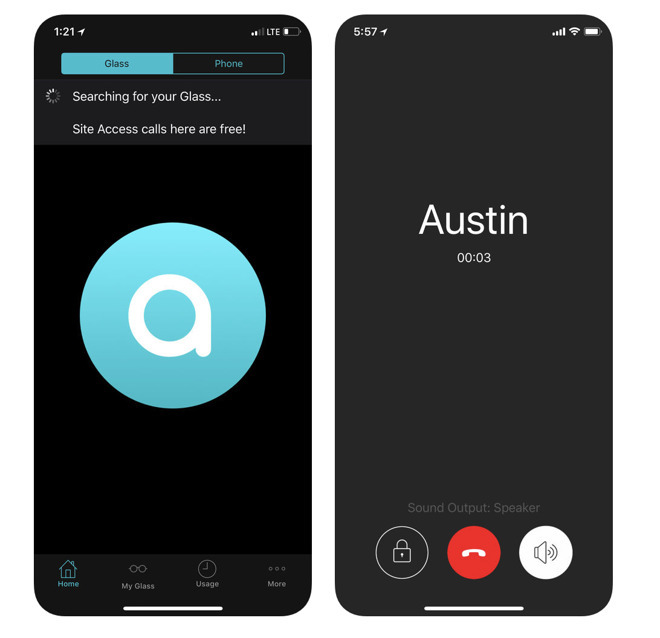 Another service often used by visually impaired users is Aira, a service in which the user wears a pair of glasses, and an agent on the phone describes in detail what's in front of them. Aira is available in the App store. VoiceOver, a feature that describes what's happening on screen, is also available on the iPhone. In the Journal piece, Mark Riccobono, president of the National Federation of the Blind, praises the iPhone for having emphasized accessibility ever since its launch. "I can go down to the Apple store and pay the same price and triple-click the home button and I have VoiceOver," he told the newspaper. "That's built in, it's great, it doesn't cost a penny extra." Driverless cars, a business Apple is also tentatively pursuing, is another technology that has a chance to be a major boon for the blind. 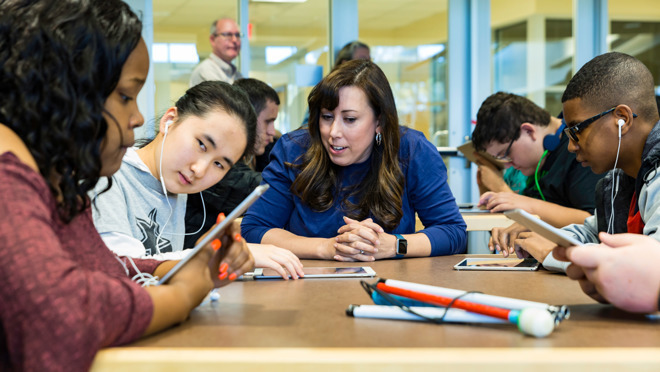 After hosting its first-ever in-school coding session for visually impaired students in March, Apple announced earlier this month that it will make Swift coding lessons more widely available for the blind and deaf starting this fall. "We created Everyone Can Code because we believe all students deserve an opportunity to learn the language of technology," Tim Cook said at the time. "We hope to bring Everyone Can Code to even more schools around the world serving students with disabilities." Early participants in that program include the California School for the Blind, the California School for the Deaf, District 75 in New York, Florida School for the Deaf and the Blind, the Hadley Institute for the Blind and Visually Impaired, and the Perkins School for the Blind.